I’m so glad to be able to post this information. It’s probably going to evoke a “meh, so what..” reaction from 99.9% of everyone reading this (and probably rightly so), but for me personally and the handful of nerds who are as obsessive about info like this as I am (my hat goes off to you!) it’s wonderful info that has only recently been unearthed. It has to do with the distribution and rights to selling early vintage Transformers in the 1980′s in Europe. What you see above is a copy of a letter dated May 6th, 1986 sent by Hasbro to Takara (edited very slightly by me for clarity) in which they refer to the acquisition of all DIACLONE stock from Ceji at cost. 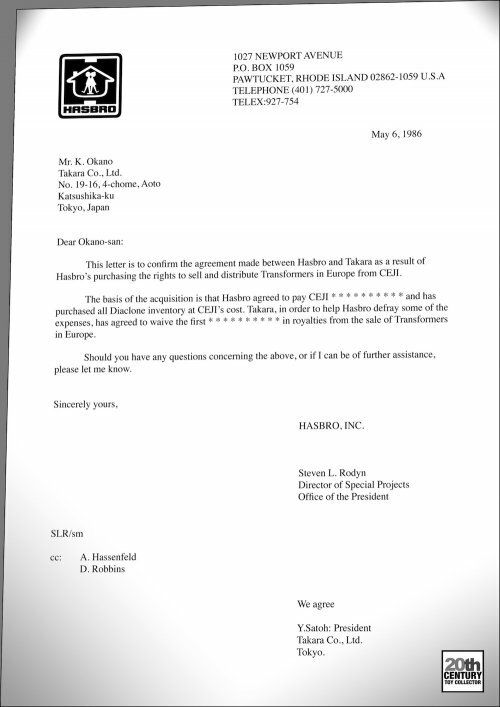 It goes on about Hasbro (the owner of MB) getting a break from Takara regarding the royalties for Transformers sold in Europe, maybe because some of these were already factored into the price that Ceji originally paid to Takara. It is also interesting to note that Hasbro/MB got Ceji’s Diaclone stock at cost price. 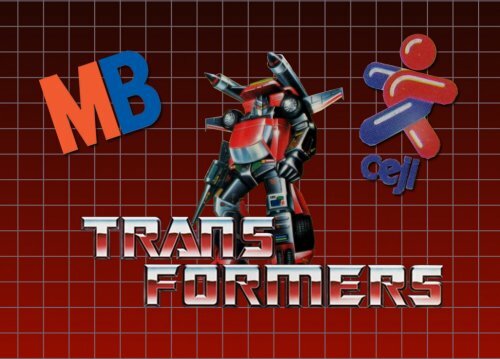 This seems to further support the idea that Ceji might have been in financial difficulties for them to give away their rights to sell and distribute Diaclones/Transformers in Europe and sell off their Diaclone stock at cost price! Some great “new” info there that confirms theories about what happened in Europe in the 1980s. I will make an effort to update the MB articles with this new info as soon as I can (probably within the next week), including a long overdue overhaul of the articles themselves, but I just couldn’t refrain from publishing this info here already. 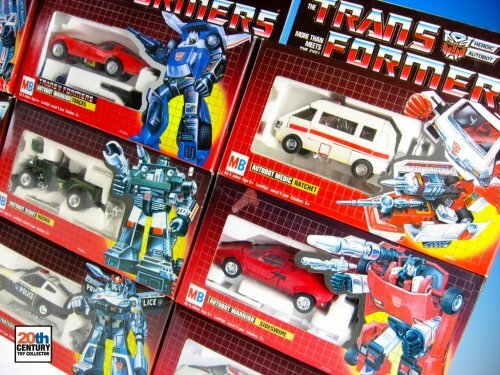 A big, big thank you to my good friend Maz for pointing me to this info and for RC85747 at the AllSpark forums for publishing the link to the SEC filings containing this info. Dig through them here if you’re interested! !